Pay them the respect of the truth. Many years ago, American soldiers returning from Vietnam were greeted with contempt and disdain from pampered leftist antiwar protesters and draft-dodgers. The youth of the 1960s will forever be tarred with this dishonorable brush. Today, once again, the left is protesting America's wars. To their credit, though, they're showing the actual warriors the respect and honor that is their due, at least via lip service. In fact, to listen to the left, the best way we can honor our soldiers is by bringing them home where they'll be safe, rather than spending their blood uselessly in hostile sands. Even on the right, worried bean-counters look at the mammoth cost of our hundreds of military bases all around the world and wonder why exactly we have to pay to protect the whole world. Mr. Obama's recent Libyan experiment with "leading from behind" won our grudging admiration for disposing of a bad guy on the cheap, which is about all we can afford. We've also asked what we're likely to accomplish in Afghanistan that's worth American lives. How about Iraq? Like it or not, America's economy runs on oil and will continue to do so for the forseeable future. It's a Bad Thing for that oil to be controlled by unfriendly dictators, much less apocalyptic Muslim nutjobs. Yet, with Mr. Obama's trumpeted pullout, all that the Iraq War looks likely to accomplish is switching the place from the former to the latter - and Libya may end up the same way. Our Founding Fathers thought the purpose of a national military was pretty clear: defend the nation. Yet they quickly realized that defense alone was not enough; Thomas Jefferson and James Madison sent the American navy to the other side of the world in the Barbary Wars, fighting countries that were absolutely no threat to America proper because they were a threat to our seamen, our ships, our travelers, and our trade. Clearly these great Founders didn't feel that American military might should be limited to our land and immediate coasts. In fact, the overwhelming majority of American military operations have been somewhere other than in America, and most of the time against places that were never going to actually invade or try to conquer us. Yet few would argue that we should have let Hitler freely conquer Europe, say, or allow Spain to run roughshod over her colonies worldwide. No, honor for our veterans can't be found by using them to rule the world, but it equally can't be achieved by bringing them home to huddle behind the walls of Fortress America. What's another word for "honor"? Respect. On this Veteran's Day, and all of the time, we need to respect the lives and minds of our defenders by clearly explaining just what it is that we're asking them to do, and exactly why. In recent times, Republicans have been no better at this than Democrats, so it's not a partisan issue. It's a question of honesty and patriotism, the honesty and patriotism that are no less than our warriors deserve. Just maybe, as we carefully think through the rationale for all the places we send them and all the things we ask them to do, we'll discover that there are some things that don't need doing anymore and some places they don't need to be. Russia is not going to invade Germany anytime soon, nor Japan. That wouldn't just be a way of showing respect to our veterans, but to all taxpayers. If only we had confidence that Congress would actually look at things logically and honorably, instead of just slashing soldiers' benefits! Leading From Behind Really Works? Petrarch, sometimes your youth is on full display. >Yet few would argue that we should have let Hitler freely conquer Europe, say, or allow Spain to run roughshod over her colonies worldwide. Had President Wilson not gotten the US into World War I, that war would have ended in a negotiated stalemate, and Germany would have been spared the punitive Treaty of Versailles. Adolf Hitler would have remained an obscure, failed, semi-homeless artist in Austria. World War II was completely avoidable. Most of the fighting in the European theater was conducted on the Eastern Front, and by the time Hitler declared war on the US, his armies had already begun to run out of steam. The problem here is the interventionist Wilsonian vision and its present day incarnation known as "neo-conservatism." It's cynical Machiavellian power politics wrapped in feel-good propaganda about "our awesomely noble intentions" and "commitment to democracy and human rights." If you think that the US invaded Cuba, Puerto Rico and the Philippines in order to prevent Spain from running roughshod over her colonies, then you are seriously naive. That's the high school version of American history. American elites are currently conducting a discussion amongst themselves on the question of whether they will take our country into yet another war in the Middle East. The target is Iran, since any enemy of Israel becomes our enemy as well. I'm having none of it. I don't attend Veteran's Day stuff, I don't say pledges to flags, and I don't sing great patriotic songs any more. I've already spiritually seceded from America, and I already hate your next war. "I'm having none of it. I don't attend Veteran's Day stuff, I don't say pledges to flags, and I don't sing great patriotic songs any more. " A sad commentary that, I think, says more about you than the current state of America. Your disagreement with war policy should have no affect on your respect to the military or the American flag. Those concepts are the same now as they were before Iraq, Vietnam or even the WWs. As Petrarch's analysis regarding the US's intervention in the Spanish colonies shows his serious naivete, as you say, would you care to enlighten us as to the real reason the US spread its influence into the Caribbean? Perhaps many problems could have been avoided had Wilson not brought us into WWI. It's certainly an interesting proposition. However, your claim that WWII was completely avoidable represents the utmost ignorance on your part. A cancer spreading throughout one's body cannot be ignored unless the person has a deathwish. Ignoring the spread of fascism and communism, even as it knocks on one's door--since you cannot be sane and believe that it would not have spread to South and Central America--would have been inviting the suffocation of the last bastion of hope and freedom. I hate war. I hate the direction in which our so-called leaders are taking this great nation. Yet Ifon hits the nail on head: your comments are, indeed, "[a] sad commentary that, I think, says more about you than the current state of America." Those Soldiers, Marines, Sailors, and Airmen whom you ignore on this and every Veterans' Day, defended the flag you do not salute so you'd have a right to not sing patriotic songs and to hold idiotic and childish beliefs. We don't have to wonder whether fascism would have spread to South and Central America - it did in fact do so. Ever hear of Juan Peron or Augusto Pinochet? Imagine how much further they would have gone, and how many more fascist or quasi-fascist dictators there would have been, had Hitler and Mussolini been successful. Ian, you went on and on about how our intervention in WW1 was a bad idea - but you clearly didn't read my article closely enough to notice that I most explicitly did NOT cite WW1 as an example of a war we clearly should have been in. There's a good reason for that: I happen to agree with you that things might have worked out better had we stayed out of that one and let Europe duke it out on their own to a negotiated settlement of some kind. I dare say that still having a Czar and a Kaiser would have been vastly superior to what we got: Hitler, Lenin, Stalin, and so on. And if America was so all-fired eager to own the Philippines and Cuba, then why did we let them go? Yes, we still run Puerto Rico, and I wish we didn't - it costs far more than it generates in tax revenue, not to mention the extreme social problems created by the presence of an entirely alien culture as citizens in our body politic. But that's another issue altogether. >Imagine how much further they would have gone, and how many more fascist or quasi-fascist dictators there would have been, had Hitler and Mussolini been successful. They could not have done much better than the US government in fostering dictatorships in Latin America. Starting with the Kennedy administration, the US government poured money, weapons, advisers and other forms of aid into Latin American countries. One president after another ordered to the CIA to run thousands of covert actions. The result? One by one, constitutional democracies gave way to fascist and quasi-fascist US-client states. By the late 1970s, virtually every government in Latin American except Costa Rica's was a US-backed national security state in which torture, disappearances and state-sponsored terrorism were routine. Call me crazy, but I just don't think our government should organize, train, finance, and direct death squads. See "The American Connection: State Terror and Popular Resistance" by McClintock. >And if America was so all-fired eager to own the Philippines and Cuba, then why did we let them go? 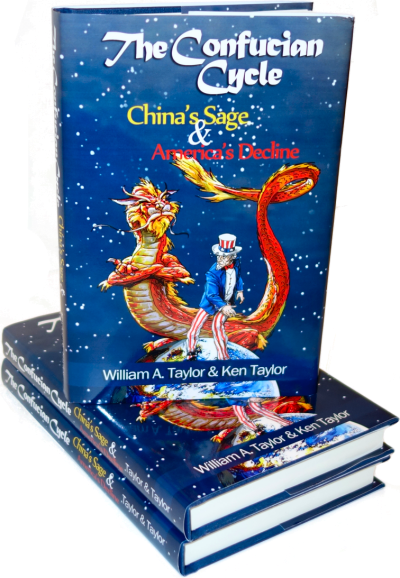 The fact that events did not unfold as Washington elites wished does undercut the imperial ambitions 60 years earlier. Uncle Sam does not always get his way. OK, look, it is true that no one can know how history would have turned out had President Wilson not intervened in WW I, but we can examine history and connect the dots. There is a straight line running from US intervention to the Treaty of Versailles, the humiliation and dismemberment of Germany, and the subsequent emergence of the Third Reich and the outbreak of war. And yes, WW II was for us avoidable. I agree here with pat Buchanan on the subject. It started out as a border dispute between Poland and Germany. Germany wanted its lands back; Poland, encouraged by England, dug it its heels. France and the UK turned a regional war between Poland and Germany into a world war. There's a book that really should be translated into English but probably won't be. "Der Krieg, der viele Väter hatte" by Gerd Schultze-Rhonhof. WWI: This war was a result of a dying way of governing, by the aristocracy, by birth, by royal families that had treaties among themselves to try and insure that their way of life could be perpetuated. Had the US not intervened I pretty much agree that the ending would have been better for Germany and possibly WWII avoided. WWII: Since there was a humiliation of Germany as a result of Versailles Treaty there was a build up in Germany caused by many factors. Hyper-inflation of the early twenties in Germany, world wide depression, the slap in the face by Versailles all contributed to Hitler's rise. Take into consideration that the Border war that Ian says would not happen. Hitler was denigrating the Jews and annexed parts of Czechoslovakia and Austria claiming that the German speaking people needed to be with their ancestors. Hitler was preparing for war and not some border skirmish. He had taken everything by force and when no one stops you war was the natural order of his actions. Japan: A contributing factor of Pearl Harbor was the US stopping the shipment of oil and steel to Japan. Should we have done this and allowed Japan to conquer Asia as they were in the process of doing? Let's say that we had continued shipping them the oil and steel. They probably would not have tried to invade us and been ok with their dominant position in Asia. But here is the problem. We would not have been drawn into war with Germany, Hitler was not going to invade us. The result of that action would have taken the pressure off of Germany and they could have developed that atomic weapons that would have enabled them to look westwards towards us. Germany would have dominated the skies with jets and atomic weapons in Europe and we would have been left alone. They may not have been able to invade and conquer like they could in Europe, but with their long distance missiles with an atomic warhead they would have made life miserable and we would have sued for a peace that would not have been pretty. This one fact alone is why we should always be the biggest kid on the block when it comes to weapons. We don't use them like a tin pan despot would, at least we haven't in the past. Better to be prepared than an easy target for an armed madman. As for the problems in Central and South America there isn't room here to sum it up by blaming the CIA. They certainly aren't perfect but I don't recall there being a lot of democracies there either. What they needed was a republic, not a democracy. This one of our problems now, democracy with fascism and socialism not far behind. This is what people mean when they say that we need to take back our country. >He had taken everything by force and when no one stops you war was the natural order of his actions. He marched his soldiers in to reclaim the Saar and then took back the Rheinland, which made him extremely popular at home. His anschluss with Austria was likewise greeted enthusiastically by the Austrians. The Sudeten Germans were likewise happy to be reunited with the fatherland. Generals in the Prussian-dominated officer corps pleaded with their French and English counterparts to stand up to Hitler otherwise his popularity would preclude a putsch by the Wehrmacht which at that time was the only force in Germany which could stand against him. Hitler was pointed east, not west. It was the great European civil war round two. Wasn't our fight. Hitler was not a threat to the US. The war was avoidable. After the war, the US army ran death camps in which some one million Germans were killed. Just one more thing that they don't teach us in school. >As for the problems in Central and South America there isn't room here to sum it up by blaming the CIA. They certainly aren't perfect but I don't recall there being a lot of democracies there either. The history of US government - not just the CIA - sponsorship of murder, torture and tyranny in the so-called Third World is abundantly documented. Guatemala had a constitutional republic from 1944 - 1954 under which Presidents Arevalo and Arbenz got rid of serfdom and instituted New deal-style reforms. President Eisenhower ordered the CIA to execute Operation PBSUCCESS, replacing the elected government of Guatemala with a series of genocidal dictatorships propped up by US-created death squads such as ORDEN under CIA agent Gen. José Alberto Medrano responsible for the deaths and disappearances of up to 250,000. Saying that Guatemala under the generals "wasn't perfect" is a bit of understatement; in fact, it was hell on earth. See Bitter Fruit: The Story of the American Coup in Guatemala, Revised and Expanded by Stephen Schlesinger and Stephen Kinzer. See The American Connection: State Terror and Popular Resistance in El Salvador (Vol 1) and The American Connection: State Terror and Popular Resistance in Guatemala (Vol 2) by Michael McClintock. See also Inevitable Revolutions by Walter LaFeber. And in Guatemala they were just getting started. John Stockwell was the highest CIA officer ever to blow the whistle on the agency. Stockwell tells us that in Brazil, Guyana, Chile, the Congo, Iran, Panama, Peru, Bolivia, Equador, and Uruguay, the CIA organized the overthrow of constitutional democracies. But you do not have to take his word for it. Read the book Covert Action: 35 years of Deception by the journalist Godswood. They sponsored a civil war Nicaragua in an attempt to overthrow the elected Sandinista government there. Some 35,000 dead. Countless women in Central America gang-raped by men trained in Florida and Texas. >I don't recall there being a lot of democracies there either. Plenty of good books out there to refresh your memory. I would also recommend Overthrow: America's Century of Regime Change from Hawaii to Iraq by Stephen Kinzer (2007). The fact is that most governments in Latin America at 1960 were elected governments. By 1980 - after 20 years of US military aid, weapons, training, and CIA-sponsored destabilizations - almost ALL of them were dictatorships. This is a fact; you can look it up. And one more book for you. Necessary Illusions: Thought Control in Democratic Societies by Noam Chomsky. The one case you either fail to see or won't see is that when you are dealing with an evil person they will not stop until they have either killed or subdued you. Had we not been engaged with Hitler in WWII it is my opinion that we would have had a very bad outcome in the long run. In Central and South America you can say that they had democracies but not like you know. While they had elections they were rigged. The leaders or should I say despots of those countries still ruled the way Europe had been ruled for centuries. Until freedom comes to those countries, which will have to be demanded and fought for by the people, you will see more of the same in those countries. Interesting points, but to cite Noam Chomsky as a serious source for much of anything is to cite 50 Cent when writing about the music of John Coltrane. "After the war, the US army ran death camps in which some one million Germans were killed"